Preciso che posto auto davanti è grandissimo e dista solo 5 metri a piedi ( attraversi la strada e stop ), essendo bar siamo a posto per bagno e da bere…..
Ritrovo ore 10:00 – 1° Partita alla mattina poi si pranza e le altre a seguire. Tireremo il dado e lui sceglierà.. 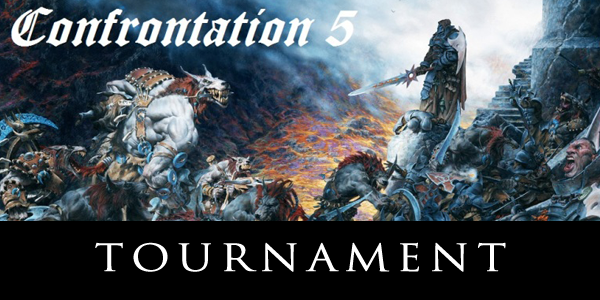 Confrontation Pills is fanmade website, made by a group of Confrontation wargame players. Originally created by the french “Rachkham” (founded by Jean Bey and Raphael Guiton) in 1997. This website born for manage your army and regroup all manuals for continue to play at Confrontation wargame and help to undestand the dynamics of ruleset. 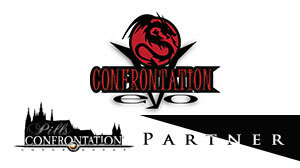 We underline, many contents and excerpts are inspired from the official wiki en.wiki.confrontation-games.com by Cyanide. All rights are reserved to Cyanide. We opened this website for maintain alive the players community, without any economic interest. Advertising banners presence are only for cover the website costs. Cadwallon®, Confrontation®, CRY HAVOC®, HYBRID® logo HYBRID®, Rackham®, Rackham® and Rag’narok WOLFEN® are trademarks registred by ®Rackham. Now, All Rights Reserved Cyanide®. The Creative Commons Rights Reservation on ConfrontationPills is only about the selfmade content present in the Website. Altervista and other advertising circuits.